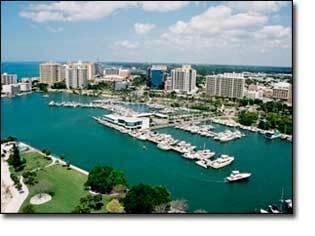 SINCLAIR BROKERAGE, Inc is a Sarasota based business brokerage company. We specialize in the sale of all types of businesses and professions, with agents that specialize in specific industries. We represent transactions from $50,000 to $10,000,000 in annual sales. Sarasota Business For Sale in the state of Florida with emphasis on Sarasota, Bradenton, Tampa Bay, and St. Petersburg areas. We also sell businesses nationwide and world wide through our network with over 1,200 offices. All work is done on a confidential basis. Services include Business Sales, Expert business Valuation Packages, Obtaining Financing, Consulting, and Mergers & Acquisitions. ....has been active as a top Certified Florida Business Intermediary in the Sarasota, West Coast Florida Area for more than 20 years, and has been involved in the sale of hundreds of businesses. Each of our associates are former Business Owners, so they can relate to what a Buyer and Seller must accomplish to facilitate a Sarasota Business For Sale. We represent transactions from $50k to $10mm in all industries. We prepare a professional, analytical Valuation Report for all transactions. We structure and price the sale properly and prepare Bank Financing or SBA loans, if appropriate. We are experts at Re-Stating financial statements to show the real value of a company. We market Locally in the greater Sarasota Area, Nationally and Internationally via our IBBA Network and on all Business Web Sites. We have much experience handling the Overseas Buyer and our negotiating skills are second to none. We can save the parties thousands of dollars on closing fees because we write the sales contract, and provide many of the closing documents. We are a Licensed Florida Escrow Agent and we hold the funds for the transaction. We use Proven, Seasoned Attorneys and Accountants, and that saves you time and money!! We have been in Sarasota Business Sales for years, and will be here for you today and intothe future!! Join our team! We are looking for hard working, enthusiastic, top caliber individuals who desire a high income. No experience necessary. This is professional selling as an independent contractor and are 100% commissionbased. We provide a complete training and mentoring program. Applicants should have experience in business management or owned their own business. You should be able to analyze financial statements, be detail oriented, ethical and have good people skills. 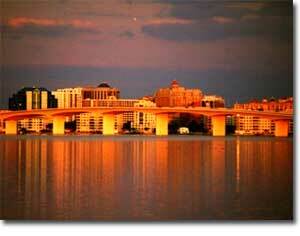 To be a business broker in Florida you must have a real estate license, which can be obtained in less than sixty days. SBB is one of the largest and most experienced firms on the West Coast of Florida and will support and assist you to insure your long term success. On-going education is available through IBBA conferences and broker affiliations. Click the link below - you will be taken to a select list of our Specially Featured Businesses for sale. Click on a business there for details. Define Your Search Right Here, without leaving this page! Use quotes to search for an exact phrase. Hit submit for results. Advanced Search - All Bus. Click the link below - you will be taken to an interface with advanced search options, like specifying down payment, gross sales, total assets, etc.